Times change... Great products remain. 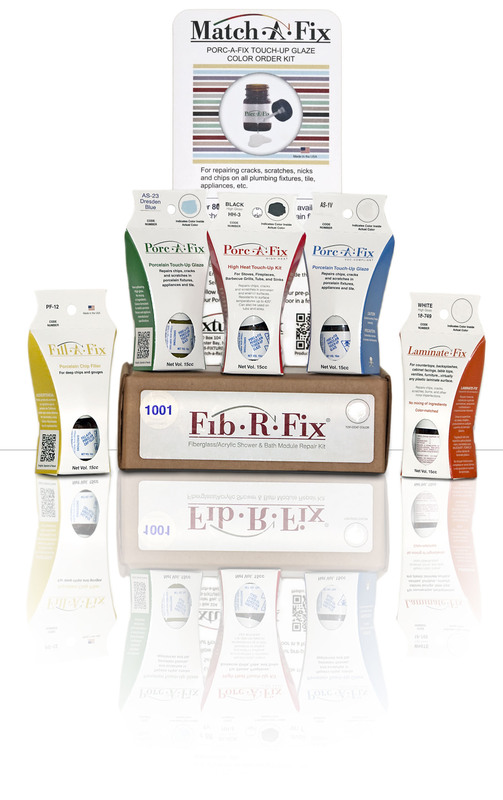 If you've been directed here, you may likely be a loyal user of Porc-A-Fix (and High-Temp Porc-A-Fix) repair glazes for porcelainized and enameled finishes, of Porc-A-Filler porcelain repair filler, of Laminate-Fix, or perhaps Fib-R-Fix filler for fiberglass, acrylics and other plastics. We are designing a new website for Fixture-Fix, featuring easy-to-use tools to help you select your exact color and place online orders. In the interim, we will gladly fill orders manually for our customers, using one of the options below. To place an order: orders@Fixture-Fix.com - Please include your name, preferred phone number and preferred contact time. We'll contact you to fill your order. Online: The complete Fixture-Fix product line is also offered by DPF Plumbing.